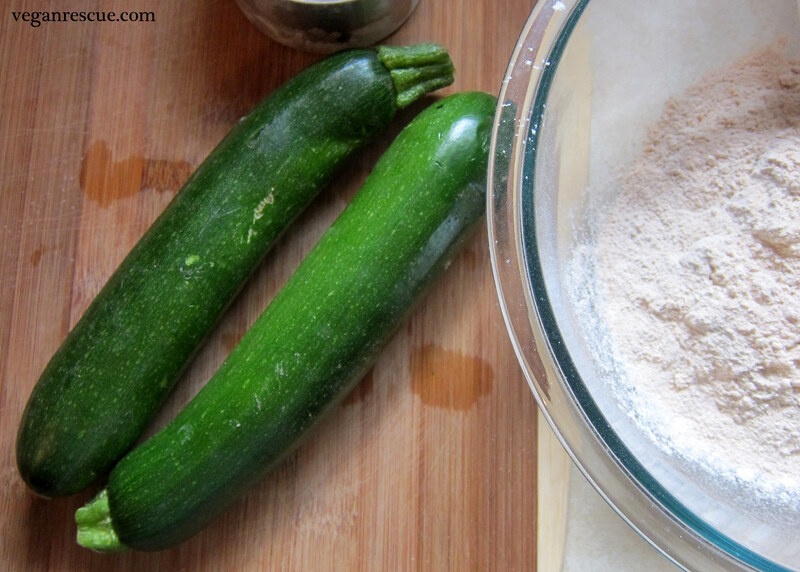 Z is for Zucchini Bread! ‘Z’ the last letter during this A-Z Blog Challenge 2015. I’d like to say I ‘saved the best for last’, but I do have so many other favs amongst the prior blog post this April. 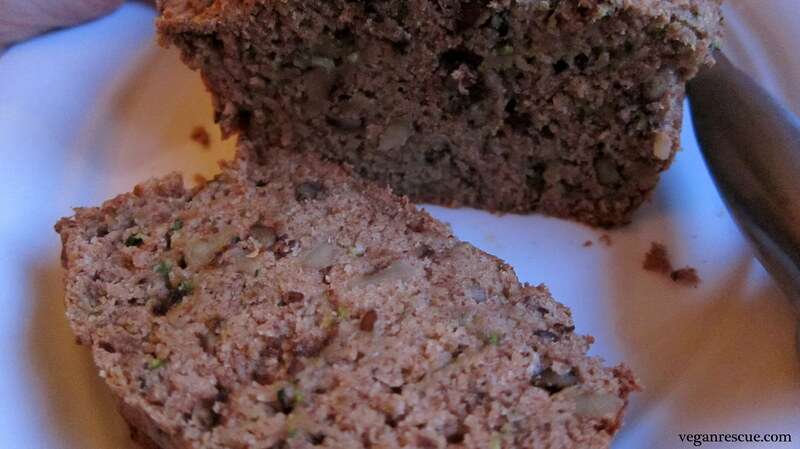 This Zucchini bread has similar elements to my carrot cake – cinnamon, walnuts with a shredded veggie. 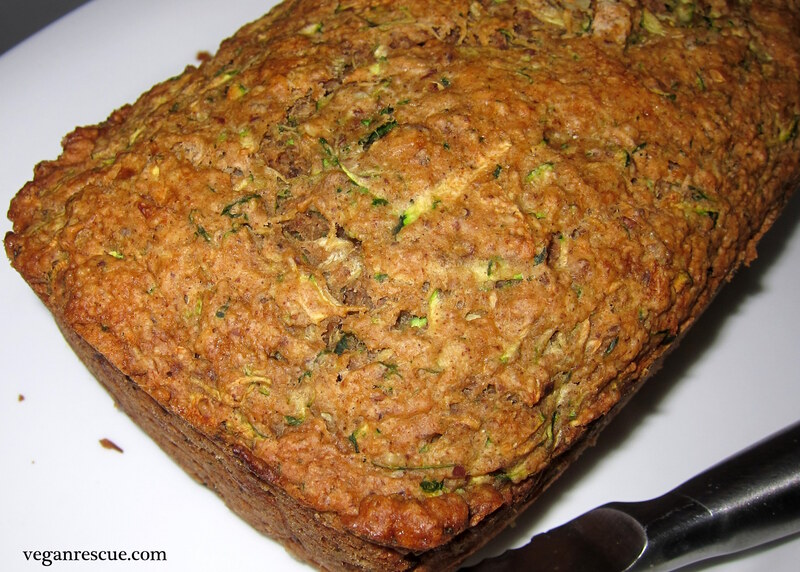 This zucchini bread is hands down my favorite of Zucchini breads, my kids LOVE it too. Bonus – its kid friendly…Jasmine our daughter is obsessed! It’s moist, flavorful – fantastic as a snack, side, breakfast or dessert. What more can I say about this bread…except that it’s a must try, enjoy! -Preheat oven 350 degrees. Grease loaf pan with Earth Balance/Flour or vegan cooking spray if you prefer. I used a 1.5-quart glass loaf dish. -Combine all dry ingredients in large bowl: Flours, Sugar, Baking Soda/Powder, Salt, Cinnamon, Nutmeg and ground flax seeds – whisk all ingredients together. 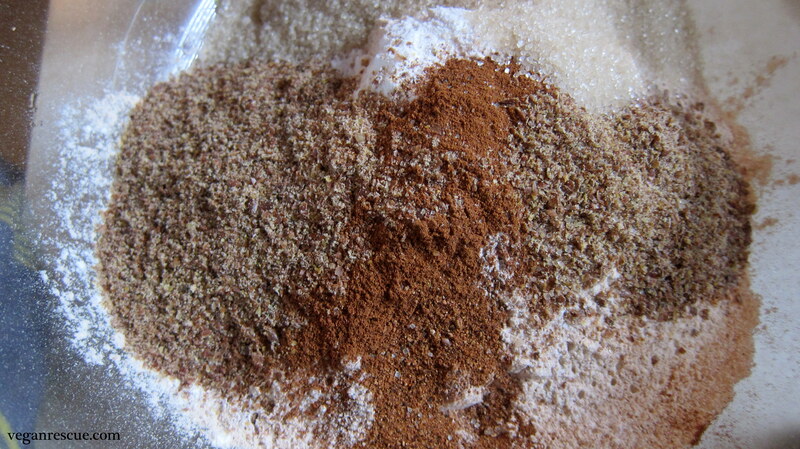 -Add wet ingredients to dry: Vanilla, Applesauce, Soymilk, Canola Oil and Water with dry ingredients. Stir together to combine. 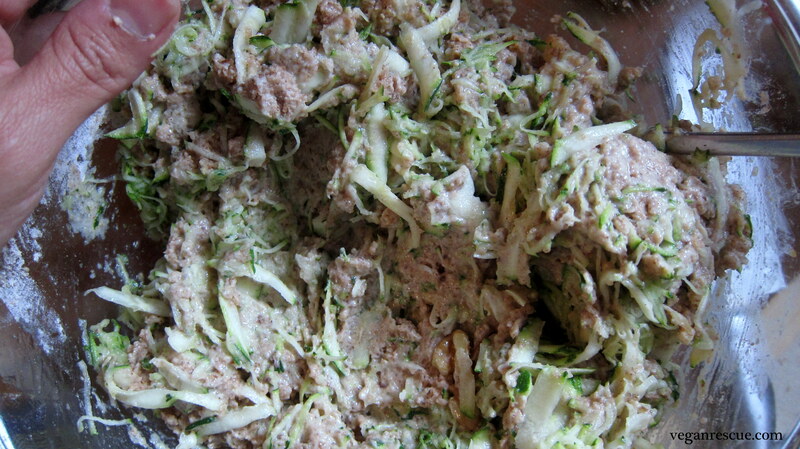 Once incorporated fold in walnuts and Zucchini. 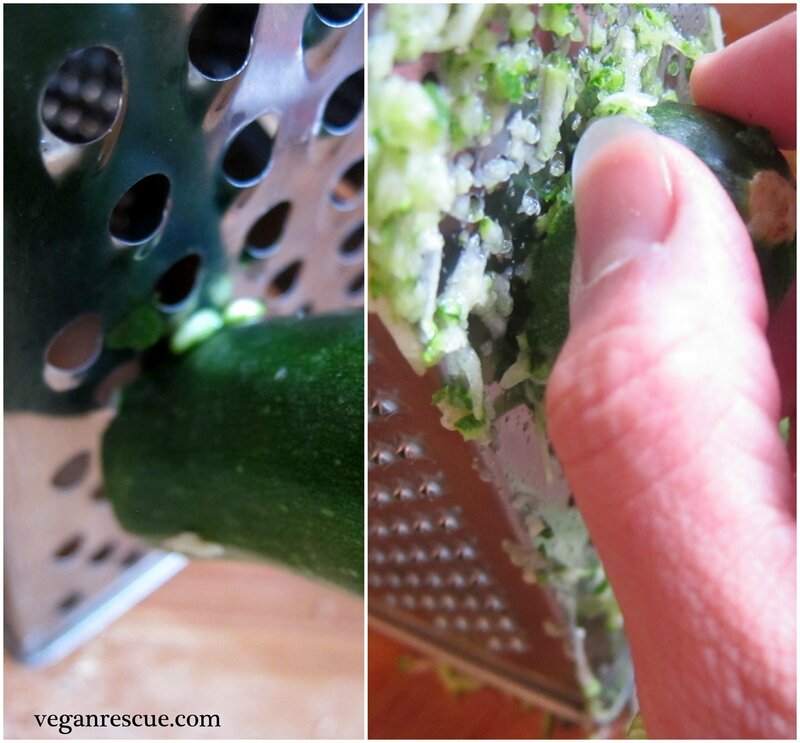 Note: I grate Zucchini using a box grater. One Zucchini I grate using the large side and the other I grate using the small. -Pour into prepared loaf dish/pan then bake for 1 hour. Let stand for 10-15 minutes to cool. Enjoy! (I’m addicted to this bread especially when it’s warm. I can’t just have one slice). Reflections in a cup of Juice! My hubby and I both love banana bread, but this looks delicious. I’m going to have to try it when I next decide on some baking. Thanks for sharing.